What on Earth is Yoga? Yoga creates space in the mind and body and provides tools to live fully and creatively. It allows us to surrender, be present and let go. 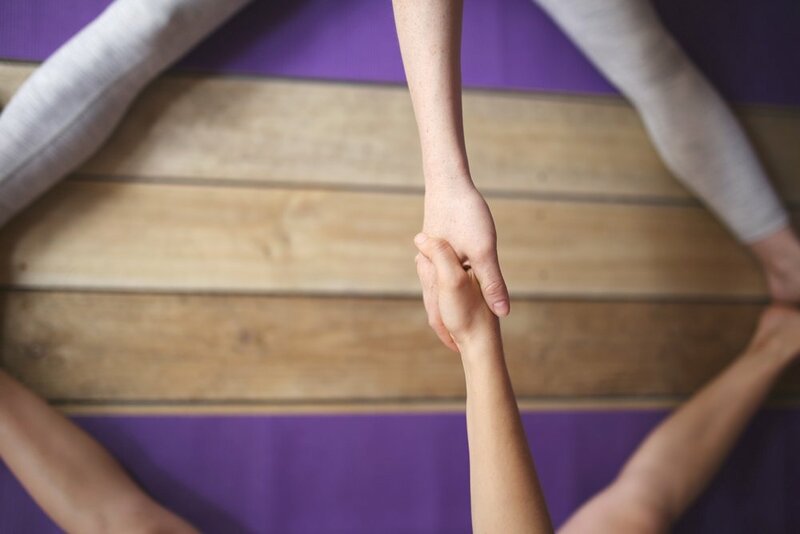 Yoga welcomes you like a friend and always has your back. It is not a religion and does not pass judgement or discriminate. Yoga is a spiritual science that is practiced all over the world. On the mat we are challenged and inspired. In daily life we feel more light, free and peaceful. Through vulnerability we share laughter that is highly contagious. Yoga is a lived experience and flows through our whole being. It encourages us to connect, build compassion, acceptance and positive pathways that lead to possibility. Art and yoga weave together like a dance of the senses. We travel inward and outward and to places in-between. Life becomes more colourful, vibrant and energetic. A regular practice welcomes healing, growth and abundance. I have no doubts it will change your life as it has to mine.